Well that’s been 12 months of tough but fun racing and I somehow fitted in 17 odd races. There are some I’ve missed, but you just can’t fit them all in – family and work really do get in the way. Out of that 17, I bet 15 of them had that upwind grind we all relish….NOT! 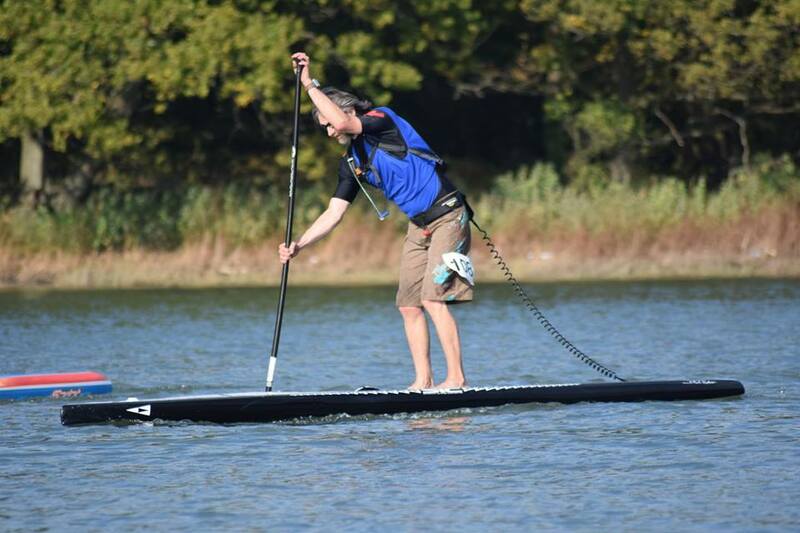 Armed with my new SIC x12’6 pro I took on the Baysup Frostbite Race Series, the club there trains hard and it’s great to go up and race against them once a month through the winter, and see how that winter training’s not working. Well to my surprise, I managed 5 out of 6 races in the 12’6 class inside the top 10 – my best a 4th. That must have been a cold wet day. The 6th, well they can’t all be great. I finished the series 7th in the 12’6! Then just 2 weeks after finishing that we were at the Head of the Dart, luckily all those windy races on the Stour at Christchurch were going to pay dividends and the new 14′ SIC board really likes upwind legs. I ended up taking a 9th in the 14′ – my best result there. This is one of my favourite races and definitely one everybody should try. 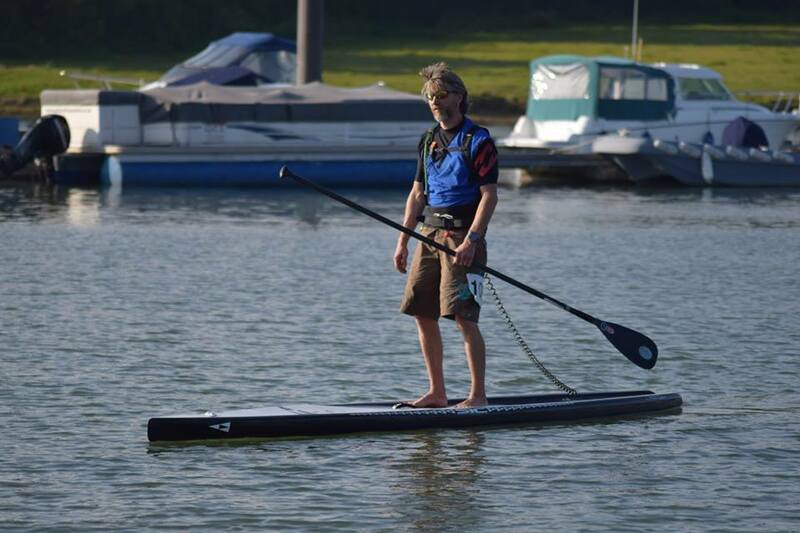 A week later was the start of the UK SUP Clubs series – 9 races with 5 scores to count. I made it to 6 of them across the UK, again managing to finish 5 inside the top 10 and that 6th one, well it was a great race, but unfortunately I finished 11th. It doesn’t seem to matter where you are in the pack there’s always someone to have a battle with, whether you’re trying to break someone’s draft, catch the next paddler or trying to pick the moment you pass and hunt down your next quarry. I’ve got some right this year and some wrong. In May the Euro Tour came to town and it would have been rude not to go down to the lovely Carbis Bay and see just how fast the likes of Connor Baxter, Paolo Marconi and Fernando Stalla really are. Well bloody fast actually was the overriding opinion! Thankfully it was a laps format so I got to see them going the other way and cheer on the few Brits that gave them a run for their money. We do get to go to some truly fantastic places – Kinsbridge, Totnes, the Norfolk Broads and Bournemouth/Boscombe to name but a few. The social side of UK SUP racing is great too. I’ve met so many people and hook up with more every time a race takes place. There’s always some banter about, tips to pick up and pass on, and the array of boards to drool over is considerable. 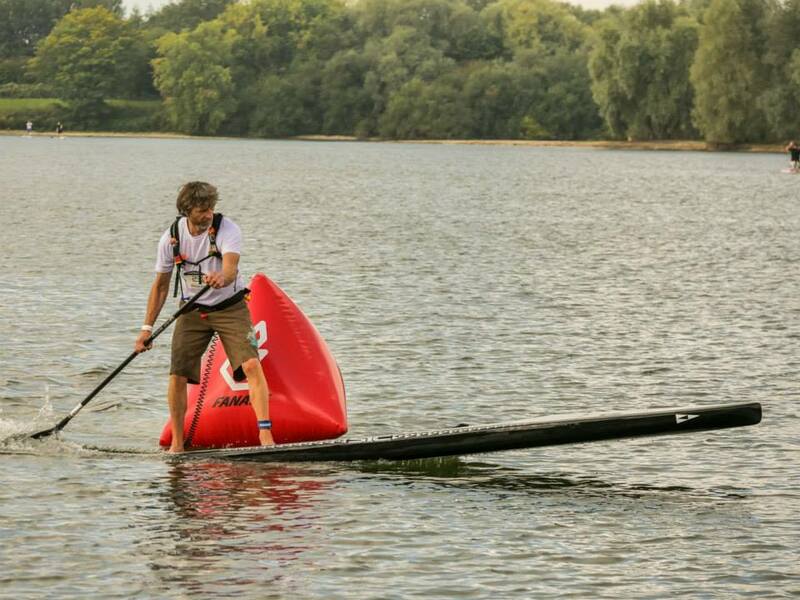 The end of August saw the British SUP Clubs Championship at Eton Dorney. Waterborn asked if I’d like to join their team for a day of racing, SUP polo and XL board racing and I couldn’t say no. It was such a laugh with poor Scott (Warren) trying to ref the Sup polo – I wouldn’t want that job! We did walk away Club Champions winning by 2 points. Waterborn also got 1st & 2nd in the polo and 2nd in the men’s XL and mixed team XL board racing – which was super fun. The Exe Hammer here in sunny Exmouth is my home race and 2015 was its second year. The Hammer attracted over 80 paddlers and it was a hard fought content. We start on the seafront and race up the Exe Estuary to Topsham. Being my home race I was keen to do well. As we entered the estuary the wind machine was switched off for the first time this year and I managed a 3rd overall – pleased with that. (The Ex Hammer would actually be a great race if you only tried one next year). Supbikerun was also ongoing through the summer and is something a little different. A 3k SUP, 27k x country bike followed by a 5k x country run. Having asked many questions I decided not to go to Jersey (Battle of the Rock) but to enter this with no specific training – yep, wing it and see what happens! Supbikerun events aren’t mass starts. You’re given an hour slot and start when you feel like it within that hour. With the 3k SUP up first I think I managed 3rd fastest of the day, then it went downhill from there – well, uphill actually, but on the bike. With just the run to go I came into the transition and jumped from my bike ready to sling it on the rack and to be honest I’m sure the legs were screaming at me: “What? Run now? Really!” But run they did – I was so glad to finish. And out of the final results I came in 27th from 160+ entrants. I was happy with that. Maybe I’ll do another one next year? So that sums up my year of SUP race completion. 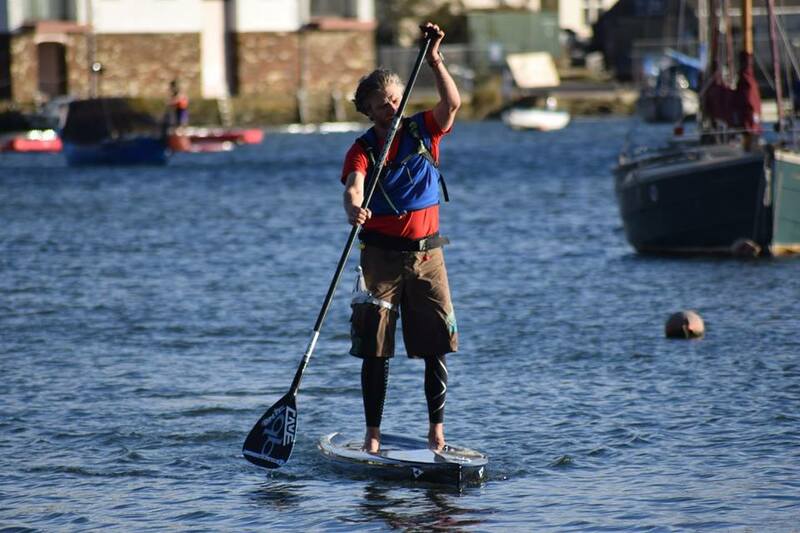 I’d like to thank all the clubs and everyone involved in organising the races and UK SUP Clubs for our championship series. Also all the paddlers and supporters that have been turned out around the country to give support – thanks! I’m so looking forward to next year but now it’s time for a rest!